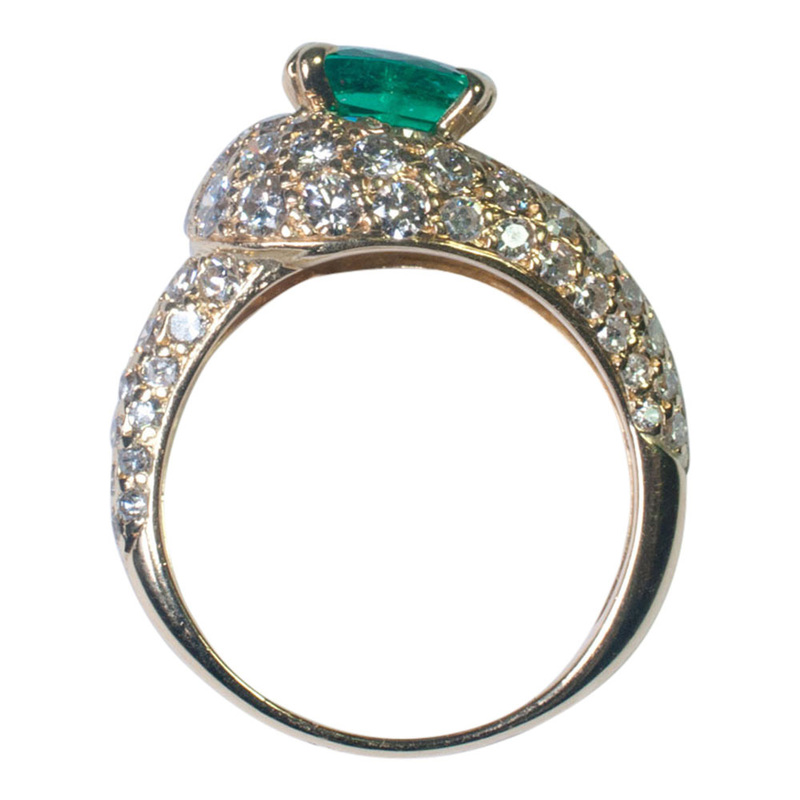 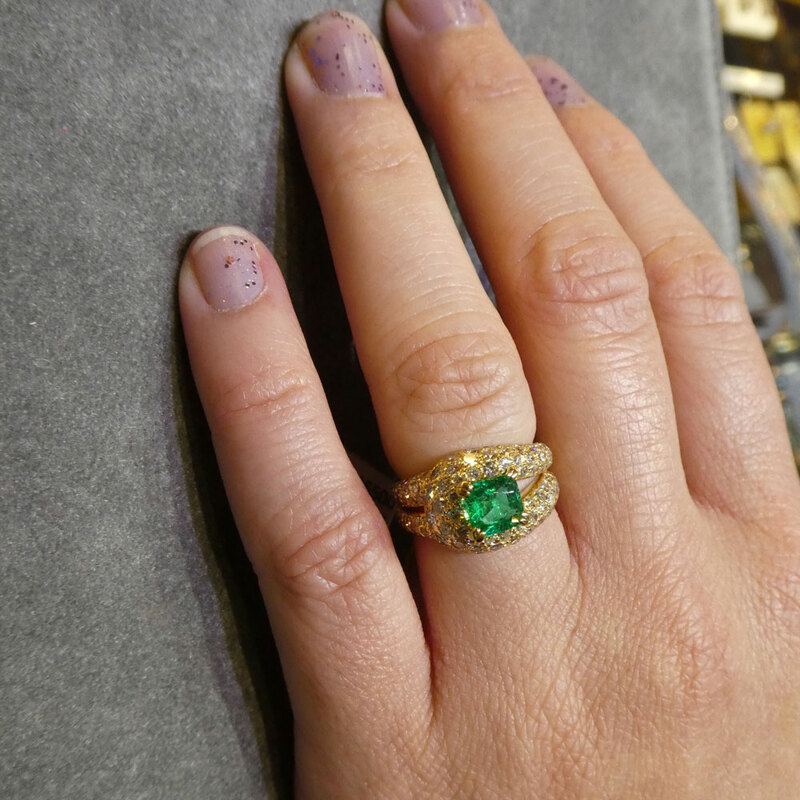 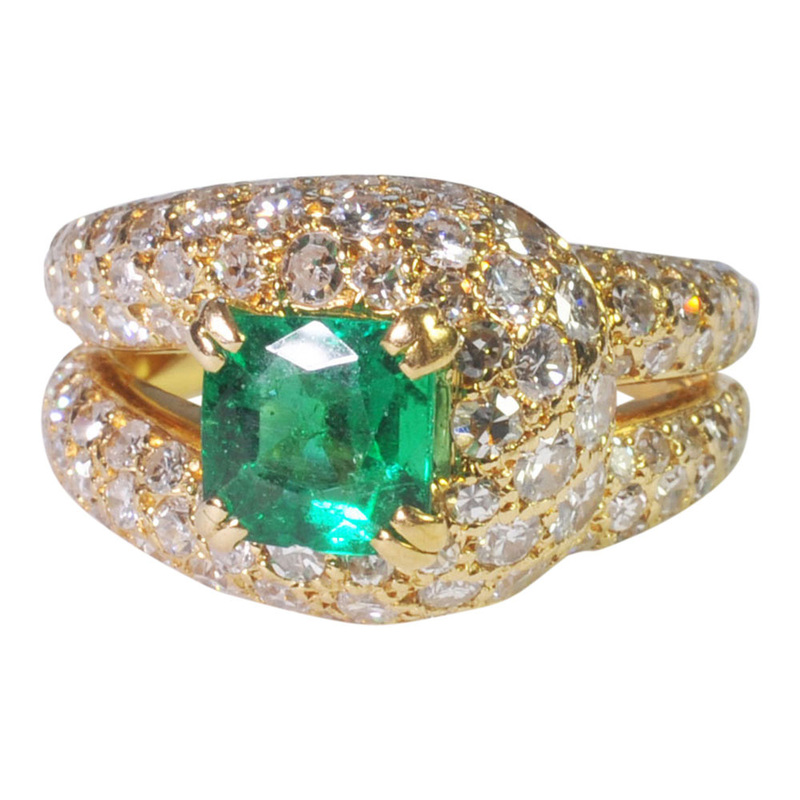 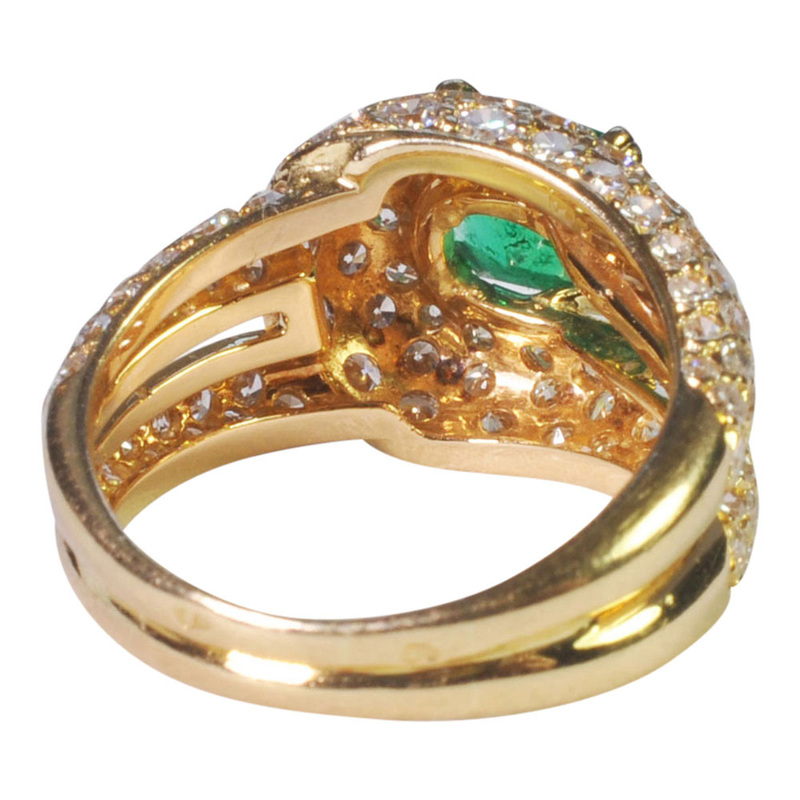 Sparkling emerald and diamond ring by Boucheron; the ring is formed by a double gold band, pavé set with 8-cut diamonds which loop round a vibrant blue/green emerald probably of Columbian origin. 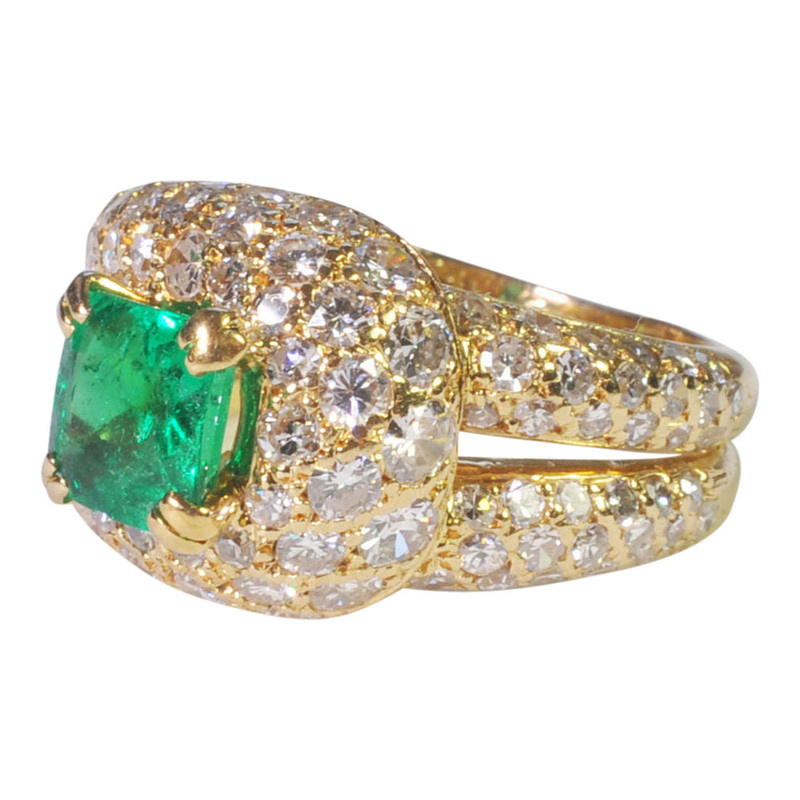 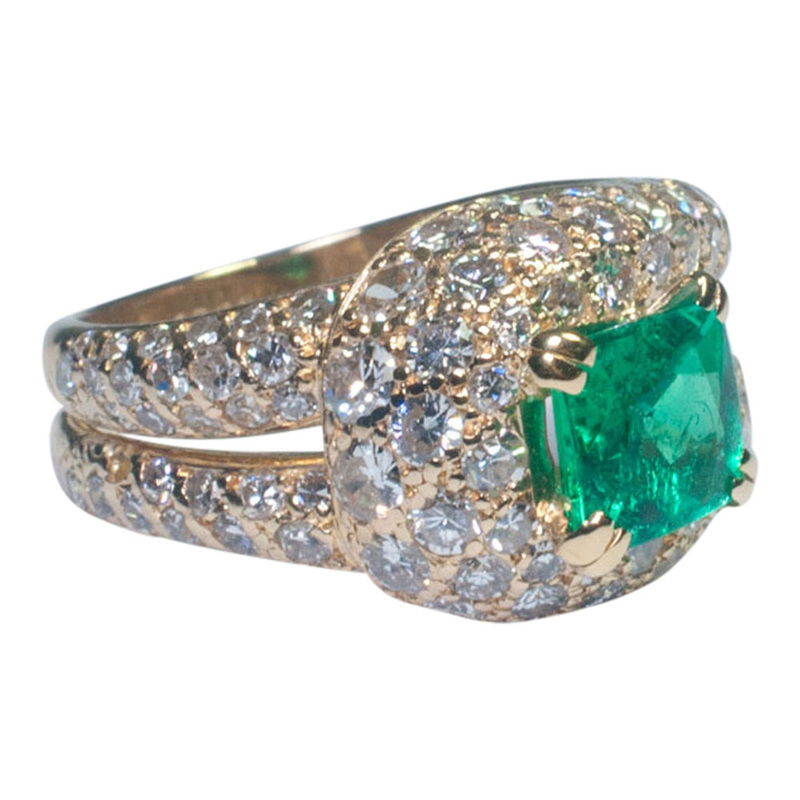 The emerald weighs 1.04ct, the diamonds weigh 2ct (approx). 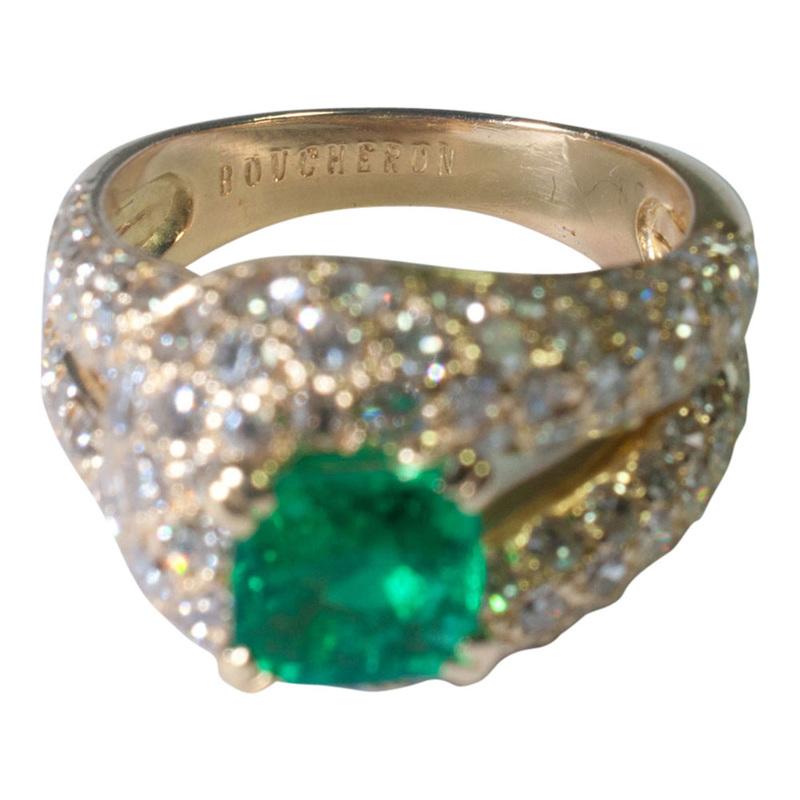 Signed Boucheron, stamped with the Boucheron maker’s mark and the French state control mark for 18ct gold (Eagle). 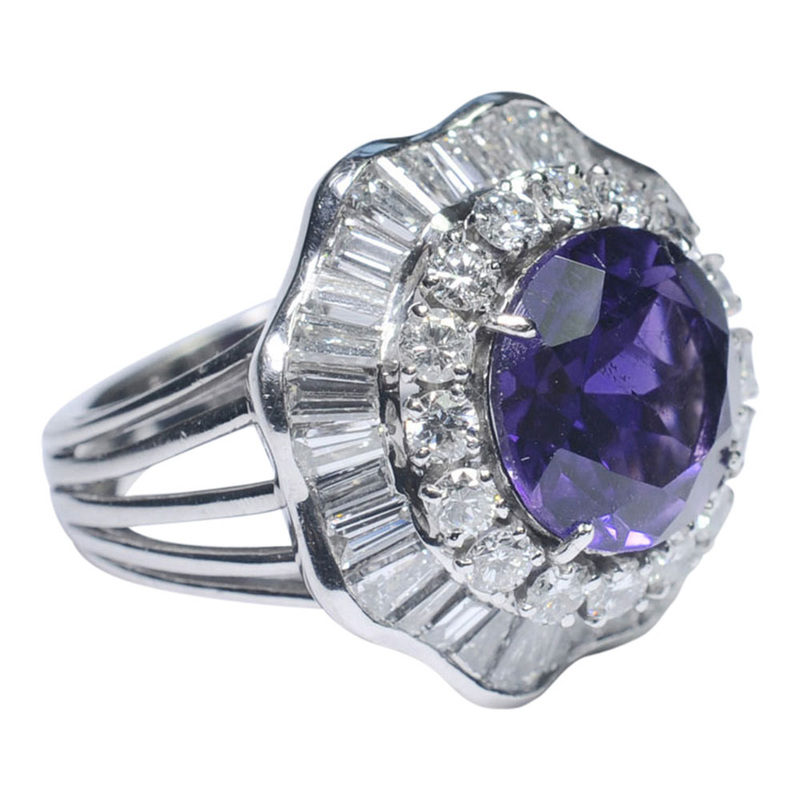 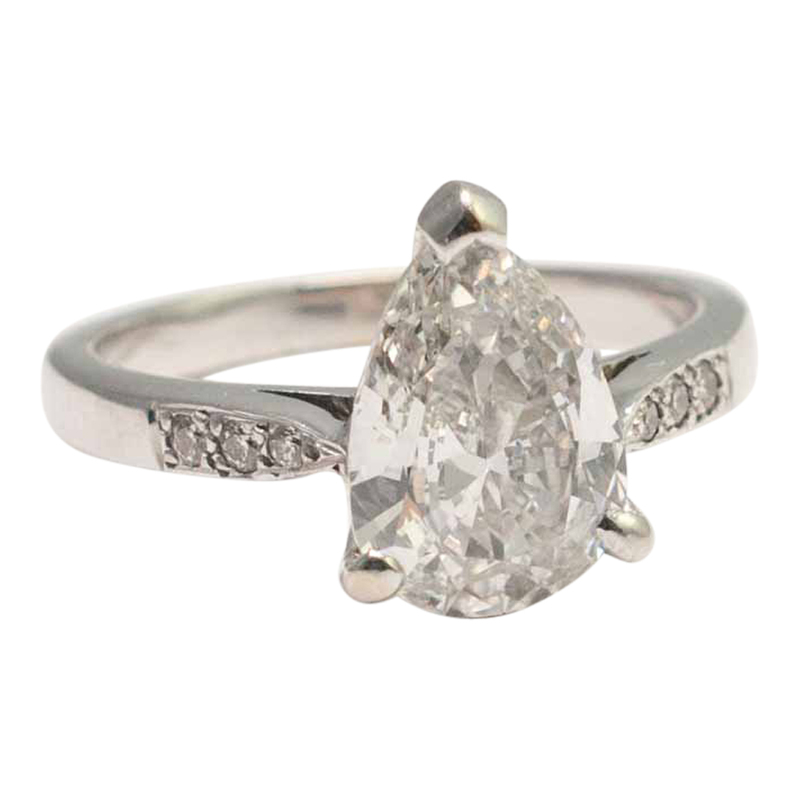 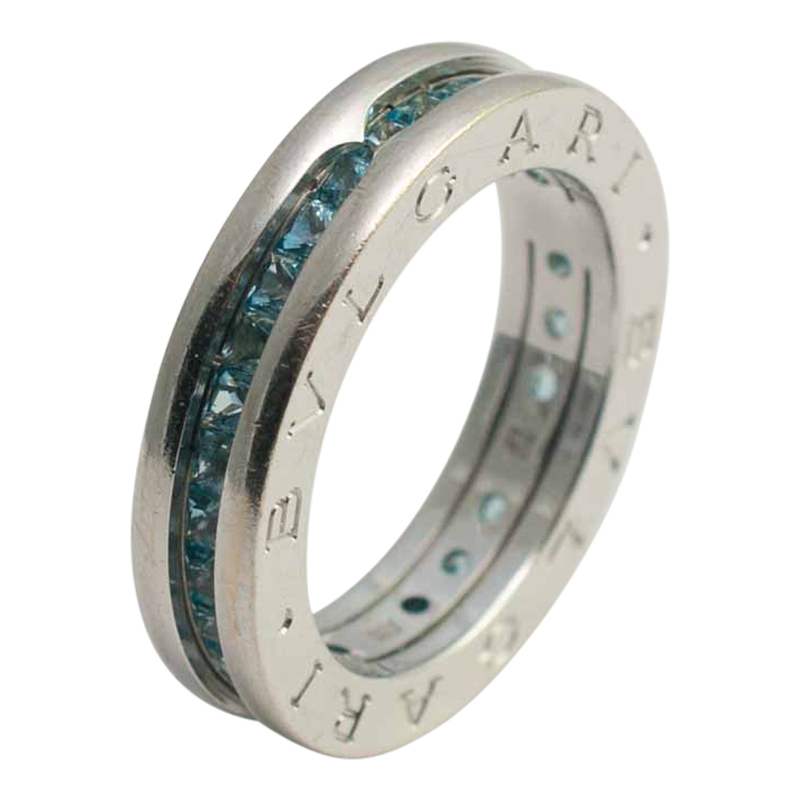 This is a truly stunning ring which would make a wonderful vintage engagement ring. 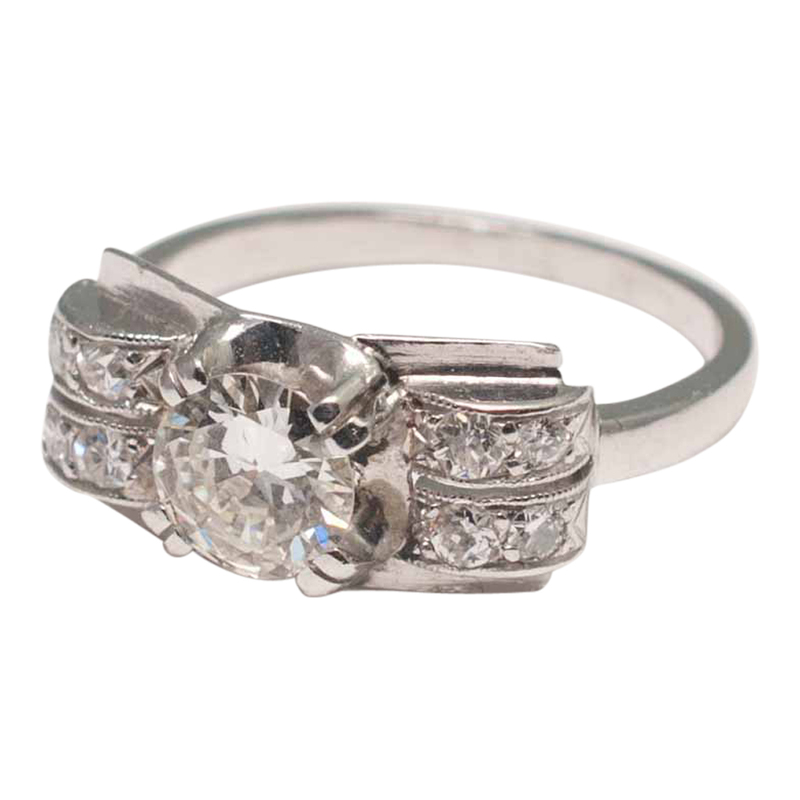 Finger size J, 49 (European), 5 (US) which can be slightly re-sized for you by our workshop.